I have a new addiction. And while my time spent on it certainly needs to be managed, there's been some significant benefit out of it as well. Recently I discovered Pinterest. If you aren't familiar with it, it's a virtual bulletin board. When you surf the web, you can "pin" a picture to your board and it will maintain the link back to the website you pulled the picture from. So if you find a great recipe, you can pin the picture to your food board and then get back to that recipe later. Such a fabulous idea. You can then look at your friends' boards and repin awesome things that they've found. You can also see what's popular and look at things lots of other people that you have no connection whatsoever with what you have found. It's addictive to sit there and thumb through tons of great ideas in a single place. I first got on it with very good intentions. When I'm plotting a book or working on a character, I have a word file that I end up copying and pasting a lot of pictures in from the internet. Now I just pin them to my inspiration board. I wish I could say the majority of my pins have been work related, but sadly, I cannot. 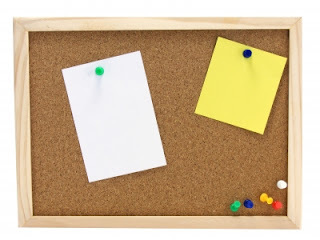 Organization tips, clever tricks, and cute home decor ideas cover most of my boards. Ideas of things to do with the kids or craft projects make up another large chunk. What I am truly happy to say is that these inspirations have not stayed mired in cyberspace. I have actually done some of the projects I pinned! It has also inspired me to look into finding creative ways to accomplish some of the things I need. For example, I am going through and cleaning out and organizing all the closets in my house. I need some storage bins to help with organization. I have a lot of diaper boxes (which, if you don't have kids, are really sturdy things!) and I have a lot of fabric from my aunt's last house clean-out. I covered diaper boxes with fabric and voila! Pretty organization bins that cost me only the glue to put the pieces together. I feel so crafty.